Content Dripping Add-on allows you to create schedules for your content, making posts or categories available for your members only after a certain time has passed since they signed up for a subscription plan. Different people get access to different amounts of content based on how long they’ve been an active member. 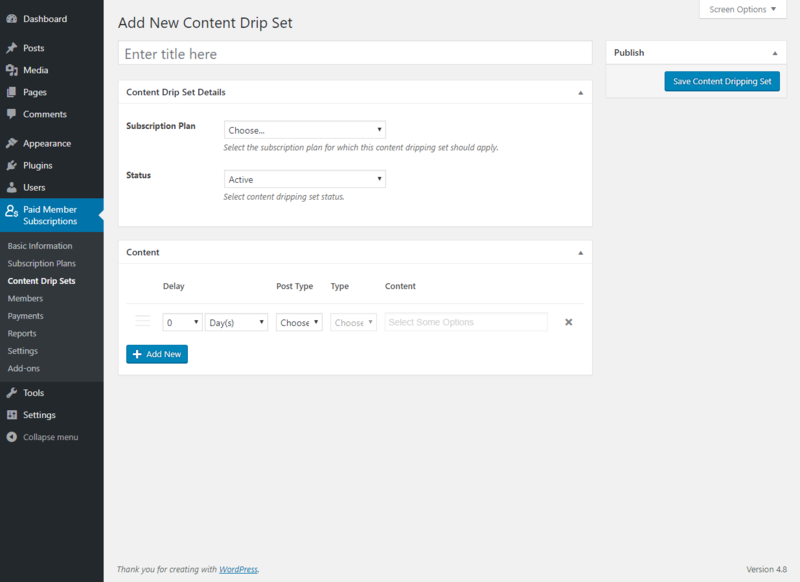 Content Dripping is a Pro add-on, available with a Paid Member Subscriptions Pro license only. Alternatively, you can install the Content Dripping add-on by extracting the folder found inside the archive and uploading the entire folder via FTP to your /wp-content/plugins folder found inside your WordPress install. After you activate the Content Dripping add-on go to Paid Member Subscriptions -> Content Drip Sets and click on the “Add New” button to add your first Content Drip Set. 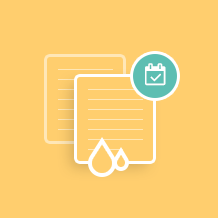 When creating a content drip set you are scheduling what content is available for a member with a certain subscription after a given period of time from their registration. Users that are not registered or members that are not subscribed to the Subscription Plan associated with the Content Drip Set will never have access to the content added here. 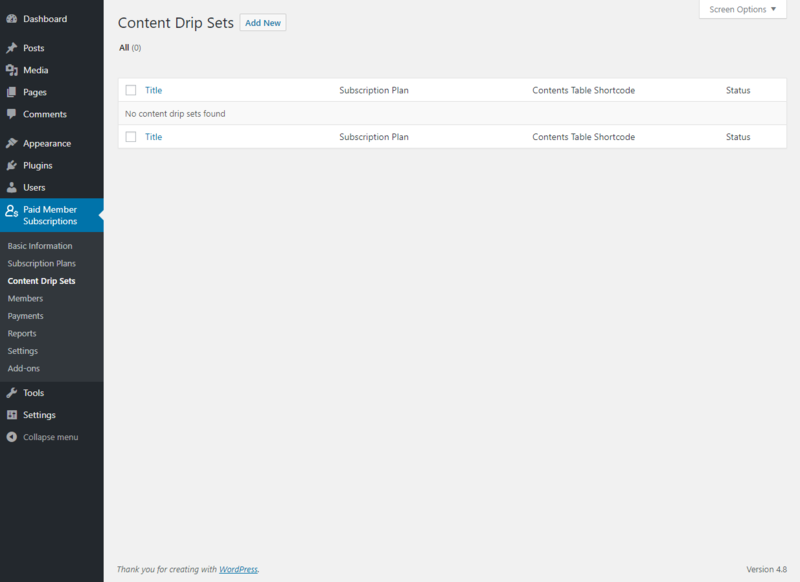 A Content Dripping Set will have to be associated with a Subscription Plan in order to schedule the content. 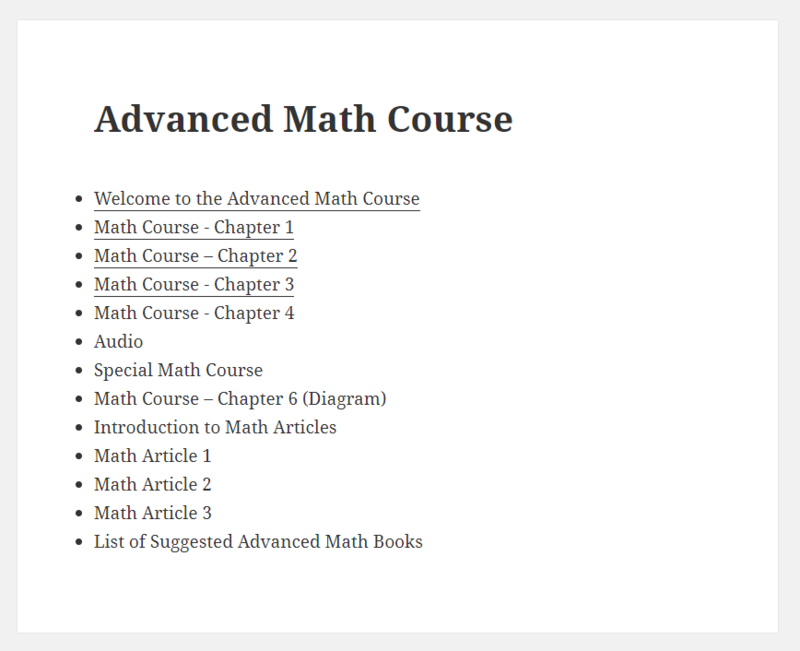 In our case we are scheduling the content based on the “Math Course Gold” Subscription Plan. If certain posts, that you added inside a Content Dripping Set, are being restricted through other methods, for example with the use of the Content Restriction Meta Box or by using the Global Content Restriction add-on, they might not be made available to the member. If a post is restricted to be displayed only to Members with a Gold Subscription Plan and this Post is also added in a Content Dripping Set that is associated with the Silver Subscription Plan, the member will never have access to it regardless of the delay time you have set. But if the post is restricted to be displayed to members with a Silver subscription, then it will be available to the member after the delay time has passed. 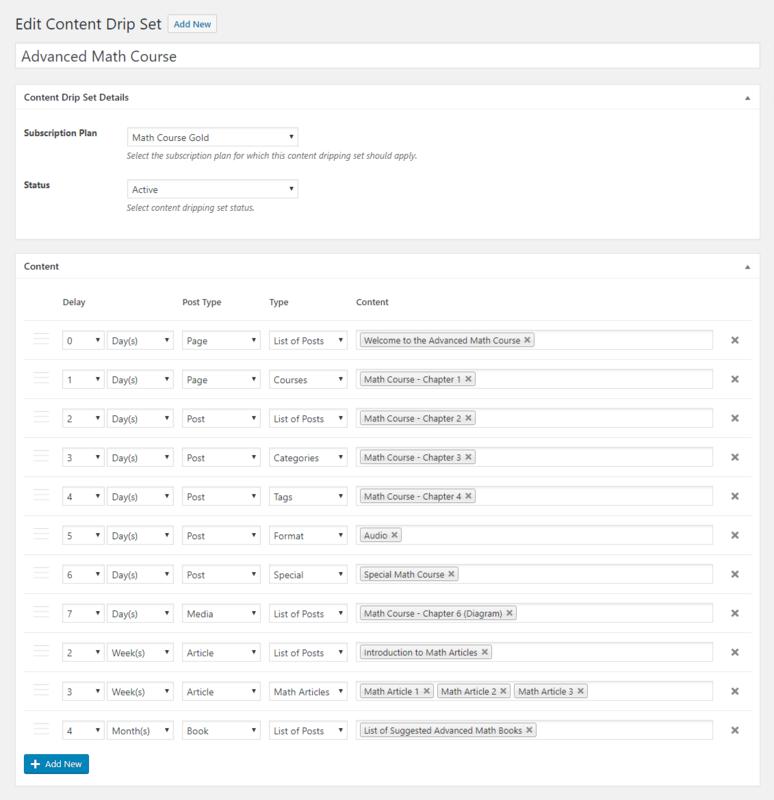 To make it easy for your Members to see what content is available and what content will be available in the future you can place a Table of Contents for any Content Dripping Set, that you have created, inside a page/post by using the [pms-cd-contents-table id=”#id_of_content_drip_set”] shortcode. 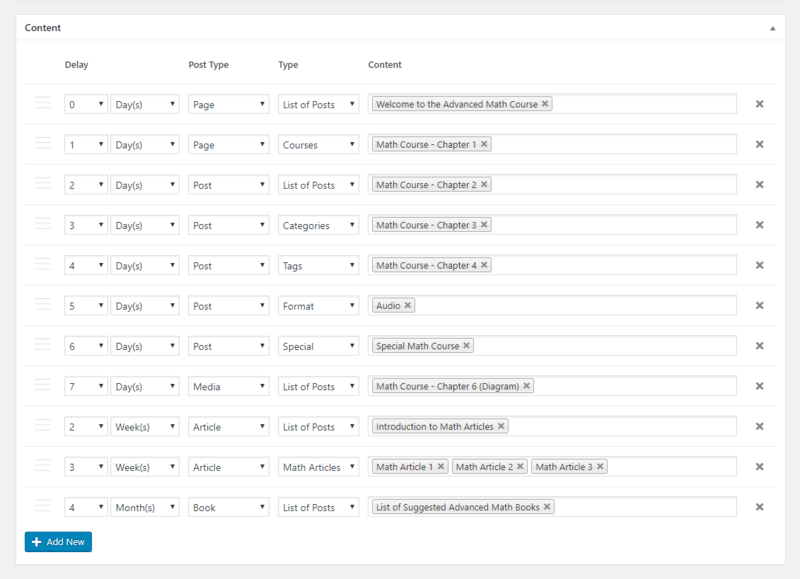 So for a member that has subscribed three days ago the Table of Contents would look like the screenshot below.